Value Automation provides in-depth security audits in Tampa. A security audit is the full evaluation of your company’s information system. A thorough audit typically assesses the security of the system’s physical configuration and environment, software, information handling processes, and user practices. We understand how important a thorough audit is to the protection of your business. If you are a local business in Tampa, contact us to perform a full-service security audit on your computer today. Computer systems have become the biggest focus for hackers. We have experience preventing hackers from accessing information on your computer. If your business or home contains confidential information or if you’ve never done a security audit, contact Value Automation in Tampa today. One of the earliest documented cases of hacking goes all the way back to 1903 when a presentation of a so-called secure wireless telegraphy technology was disrupted. The hacker infiltrated the transmission and presented his own insulting remarks on the screen. The more common vision of a hacker being someone who compromises computers and networks gained popularity in the 70s and 80s when many notable hackers were disrupting large corporation, banking institutions, government services, and telecoms that used the early global networking technologies such as ARPANET. We know that today every business down to the smallest rely on network technologies to distribute data and stay productive. We are here to keep these businesses safe with our IT security audit in Tampa. We are aware of and know how to combat today’s newest threats and exploits. Today there are so many different technologies utilized in the business world. We are experienced in all legacy systems still in use as well as prepared to handle all of the emerging mobile and wireless networking technologies. Value Automation will do comprehensive checks of all of the systems present on your network. We look for any unnecessary host services that could be sued for exploitation. It is very important to hire experts in IT security audit in Tampa to make heads of tales out of what is found and what to do about it. One of the reasons it is necessary to hire us is that there is an overwhelming amount of information obtained while performing these checks. During our IT security audit in Tampa, we run our automated and manual system and network checks, we get a long list of vulnerabilities and potential exploits in the reports. We understand that it may not be necessary to address or otherwise worry about everything listed on these reports. We have the knowledge to know what critical systems exploits need to be addressed. We understand that an archaic Windows NT4 system behind your firewall handling outdated voice mail that is vulnerable to an obscure TCP numbers exploit is not really an issue to your business. We realize that addressing issues like this are not cost effective for you company because they pose no real threat to your production. 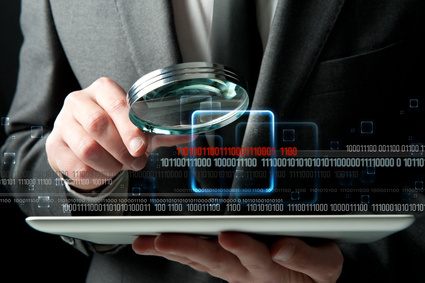 Our logical IT security audit in Tampa will keep you safe without unnecessary costs. In contrast to this, an inexperienced auditor may neglect to do enough checks. We make sure to probe both the internal network behind the firewall as perform and exterior scan. We do an internal scan to identify any real threats that could disrupt the services your company uses for productivity. We include the scan of the internet subnet to get a complete look of the hosts on your business network. Value Automation use a comprehensive IT security audit in Tampa to collect and analyzes all information to identify and aid in creating a plan to erratic any real threats to your company in a cost effective manner.